St George Orthodox Ministry of the Coptic Orthodox Church is organising a Spiritual Retreat on Friday 13th May to Sunday 15th May. The Retreat will take place at the Community of Reconciliation, Barnes Close, Chadwich, Bromsgrove, B61 0RA. Barnes Close is very conveniently placed for the M5, and is about 10 miles South-West of the centre of Birmingham. The theme will be – You are the Light of the World – and the event will include useful presentations, discussions, practical spirituality and prayer, including a Liturgy on Sunday morning, Orthodox video and plenty of time for fellowship and conversation. The retreat will be led by Father Peter Farrington. There are a limited and mixed number of rooms available, though we also hope to be able to welcome Day Visitors, and will be registering for non-residential participants soon. The rooms available include Family Rooms, Twin and Double rooms. If you are a single participant and are willing to share then this will increase the numbers of people able to be resident. There is a small surcharge for Sole occupancy of a Double Room. The cost includes Full Board and Accommodation from Friday evening until Sunday afternoon. Accommodation will be organised as registrations are submitted. Those unable to be accommodated in an En-Suite room will receive a reduction in the final cost, while those requiring sole occupancy of a twin-bedded room will have a small surcharge added to the final cost. This event is open to all who wish to attend, and it is hoped that it will be the first in an annual spiritual retreat organised by the St George Orthodox Ministry of the Coptic Orthodox Church. Registration is £25 per person. The balance of the costs will be invoiced in due course and is payable before the event. Please use the form below to submit your registration payment. The organisation of the event is being undertaken by the Coptic Orthodox Community of St Chad in Stoke on Trent. 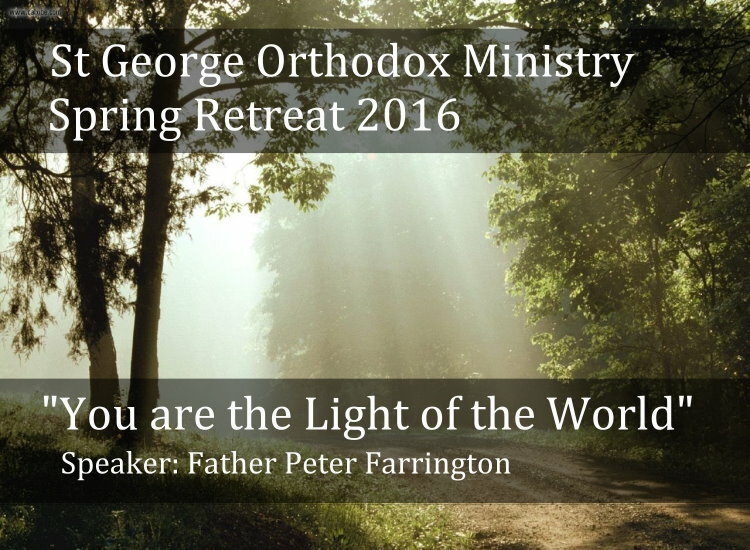 One Response to "St George Orthodox Ministry Retreat – Register"
I already paid my deposit. When is the balance due?